Devon started at Mrs Berry’s when he was 12 when he and Matt came from the Maureen Law School of Dance. During his time with us he was nominated for the IDTA Scholarships many times and won special commendations in 2003/4 for Grade 5 Tap and Theatre Craft. He was also the winner of the Ken Dodd Tap Award. In 2006, at the age of 16, he came third in Dance Master UK, performing at the Winter Gardens in Blackpool. Later that year he went on to study for his National Diploma in Musical Theatre at Laine Theatre Arts College. While there both he and Matt competed in a tap competition held at the college, and Matt, feeling generous, used one of his old routines and choreographed a new one for Devon… he regretted it in the end because Devon ended up beating him with it! After graduating in 2009 he went on tour to Germany with the musical Hairspray for two years, managing to resist the urge to learn any German while he was there. He performed in Aladdin at the Royal & Derngate in Northampton in 2011. In 2012 Devon taught classes and workshops in London and performed in the Opening and Closing Ceremonies of the Olympic Games. Since then he has played a Shark on the national UK tour of West Side Story which began in Liverpool in 2013 and ended in summer 2014. In his spare time he has come back to Sheffield to teach our pupils exciting new routines and give them insight into the life of a professional dancer. 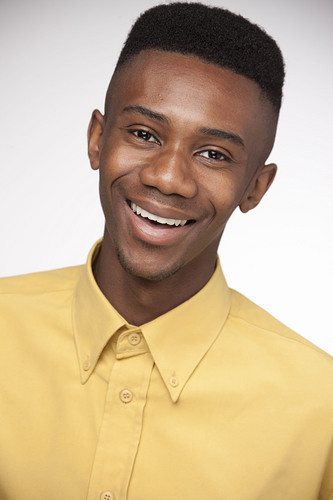 Devon was very excited to be joining the cast of Memphis, a new musical which arrived in London’s West End in October 2014. The starring role is taken by Beverley Knight, and the production won Best New Musical at the What’s On Stage Awards.